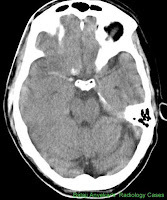 The “Dense MCA or dense vessel sign” is one of the early signs of acute MCA territory infarction. Corresponds to a hyperdense cord like MCA main stem in the Sylvian fissure on CT. Represents thrombotic material in main stem of the MCA. 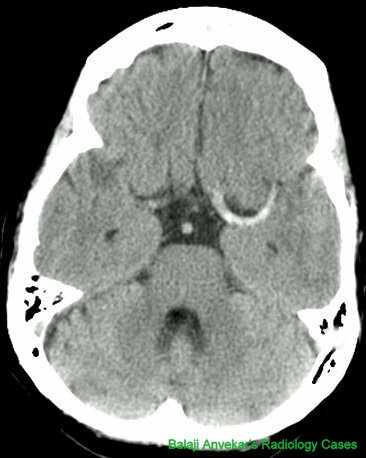 During such a hyper acute to acute stage of infarct the adjacent brain parenchyma in the involved territory may show normal attenuation pattern.